No one starts their own business expecting to fail. Many start-ups get it right and go on to achieve successful growth and expansion in the long-term. But for many others, biting the bullet and accepting that it’s time to form an exit strategy comes way earlier than anticipated. We noticed that what retailers often lack is a guide on what not to do, so that armed with this knowledge, they have the best chance to run a successful business. We explored what ruins the chances for so many, by drawing on a number of trusted resources and validating them against our extensive knowledge of our customers' own experiences. 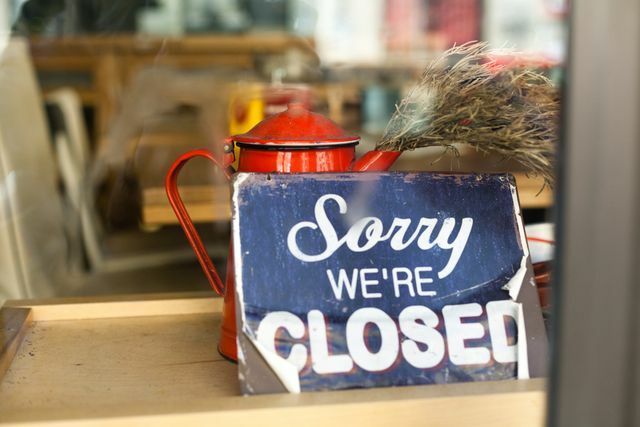 Here are a handful of some of the recurring reasons causing retailers to fail, along with tips on how to keep these issues from damaging your business. Of course growth is desirable for any SME, but over expansion is a serious error. Small business owners can get carried away with wanting to be the first to market with a new product, taking on added overheads, or trying to prove growth to anxious investors. This can all result in financially overextending the business so set realistic goals and expand only when it is right to do so. One company that really stands out for being negatively impacted by rapid growth is Compaq. The Chartered Management Institute (CMI) included the demise of Compaq in their round-up of four companies that ‘spectacularly failed’ and the lessons to be learnt from each.